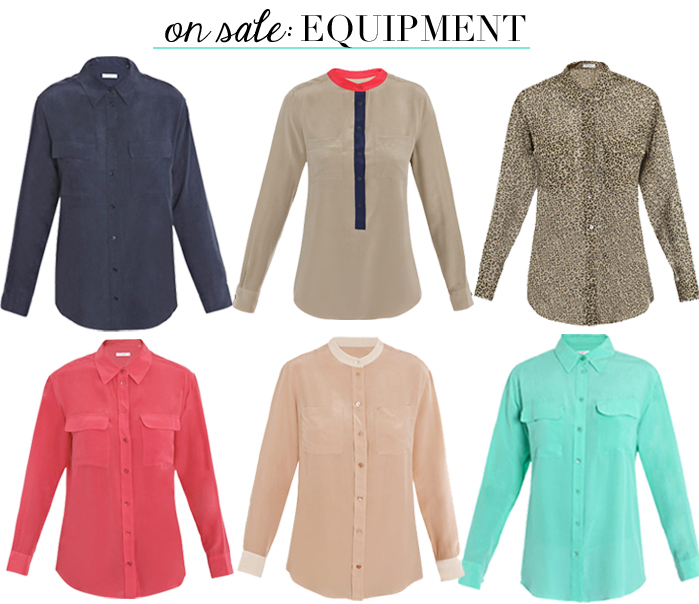 When it comes to wardrobe staples, Equipment blouses are near the very top of my list. I live in these things. They’re simple and chic – not to mention, super comfortable. However, they’re not exactly budget friendly (though worth every penny, in my opinion). So, when I see a sale on these, I jump at it. Matches has marked these down 40%. The aqua version is going to be the first one in my cart. Don’t mind if I do. One day, I must get my hands on an equipment shirt! They are so pretty. My favorite of these is the middle one in the second row, the collar is so sweet!